Mother’s Day gift baskets are the perfect idea to treat mom on her special day! And they are pretty fun to put together too. 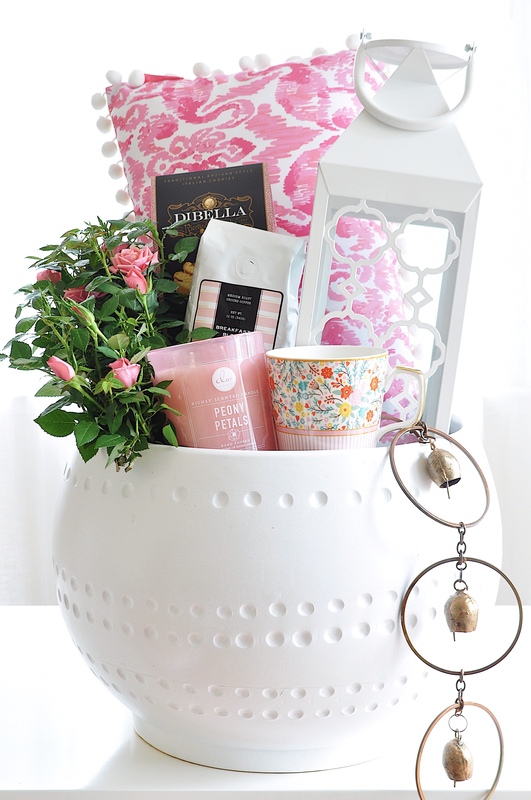 This spa at home gift basket is absolutely fitting for the busy mom in your life. 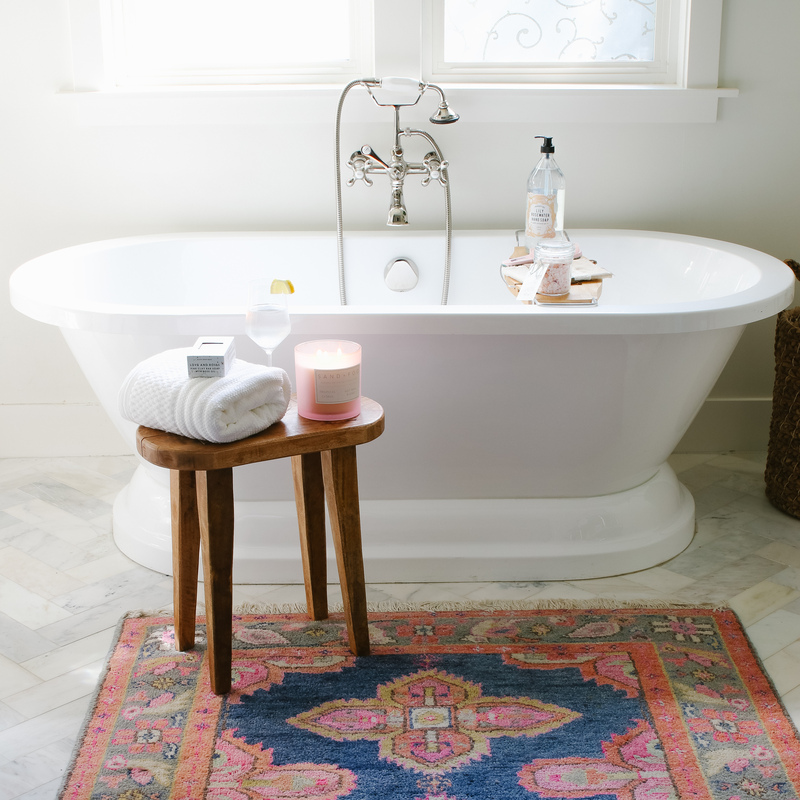 Give mom all the essentials to have a spa day at home. And the best part is, all these items were found at HomeGoods! A one-stop shop for getting all the items for your DIY gift basket. I’m joining in with some friends today and sharing our favorite Mother’s Day gift basket ideas. 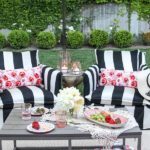 And we are partnering with Homegoods to show you the endless inspiration! 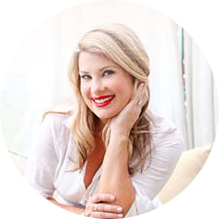 If you are a mom, then you know how hard it is to get away for a little relaxation and quiet! Sometimes it’s easiest to just stay at home and draw a nice relaxing bath. 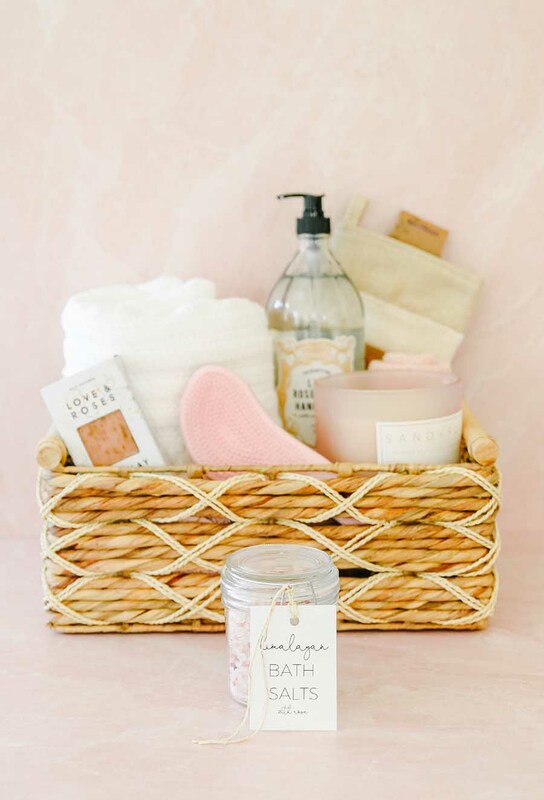 I know there is nothing I would love more than to receive a gift basket for Mother’s Day filled with all the essentials to create a spa day right at home! 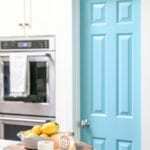 I can’t wait to show you how easy it is to create this DIY gift by shopping at HomeGoods. Gifts for moms don’t have to be expensive. And DIY gift baskets are the perfect way to create a personalized gift on a budget. By hand selecting each item in the basket, you are creating a completely customized gift for the recipient. And this mother’s day gift idea doesn’t have to be just for moms. I know plenty of women that would fully enjoy this spa basket that aren’t moms! 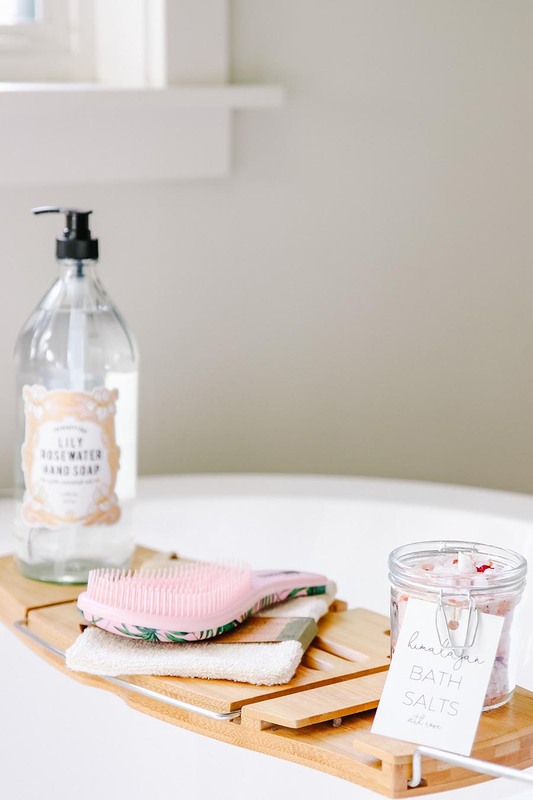 Here a a few items that are essential for this DIY gift basket in order to create a relaxing spa day at home. And I easily found all of these items at my local HomeGoods store! Bath salts are a great way to detoxify and scent the bath with their floral aromas. You can find pre-made versions at HomeGoods, or you can make your own. Read my DIY Bath Salts with Himalayan Salt and Essential Oils post for details on the benefits of bath salts and how to make your own! 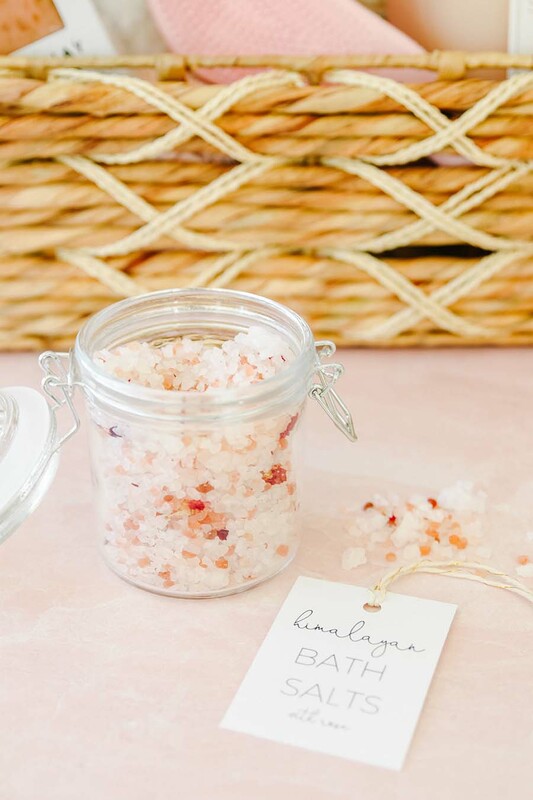 I’ve even included a free printable to label your homemade bath salts. This Mother’s Day gift basket idea wouldn’t be complete without a fluffy white towel. 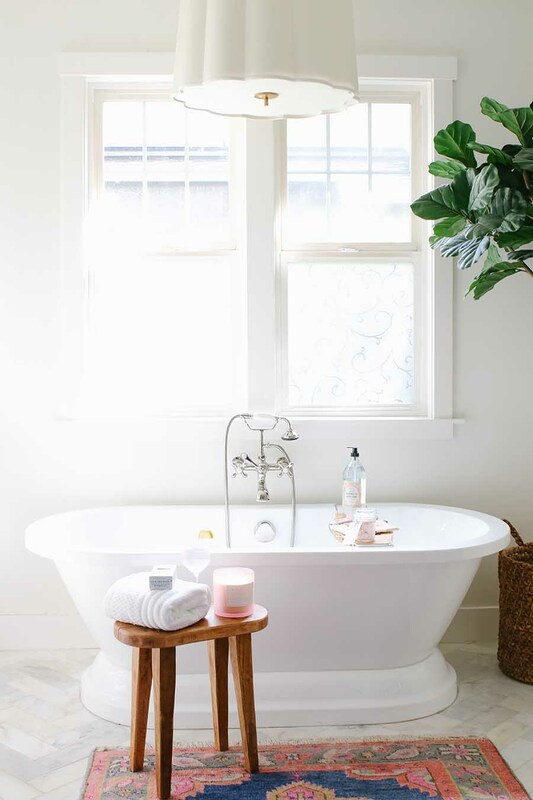 There’s just something so refreshing about a crisp, white towel. And a pretty scented candle is sure to set the ambiance for a relaxing spa day at home! 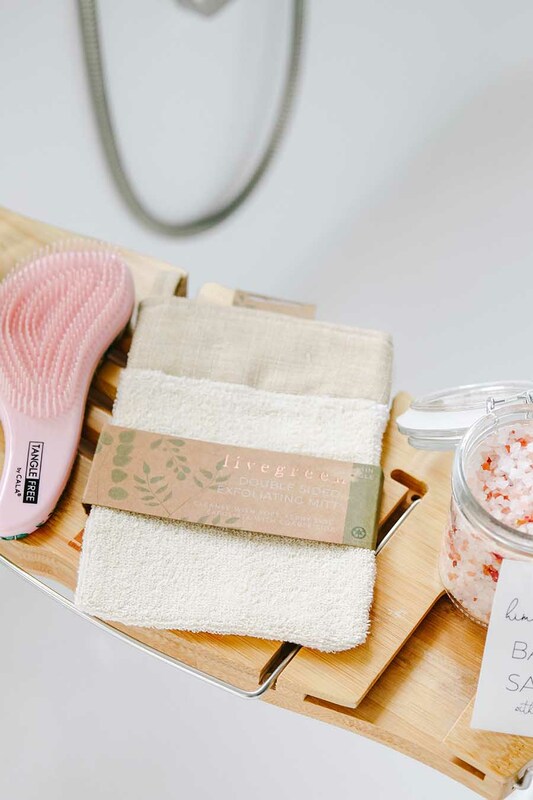 A natural exfoliating mitt is a nice touch to add to this Mother’s Day gift basket. I like to include items that are useful, but also something the recipient probably doesn’t already have. These exfoliating mitts are a great way to scrub away dead skin and come out feeling renewed and reenergized! One of my favorite sections to shop at HomeGoods is their bath section. 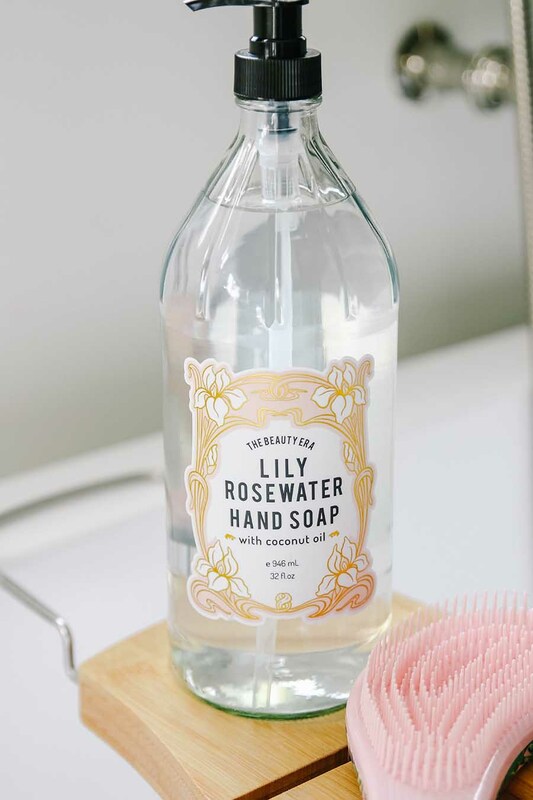 They have the best selection of beautiful soaps and lotions! I love to find a bottle such as this one with a beautiful label. 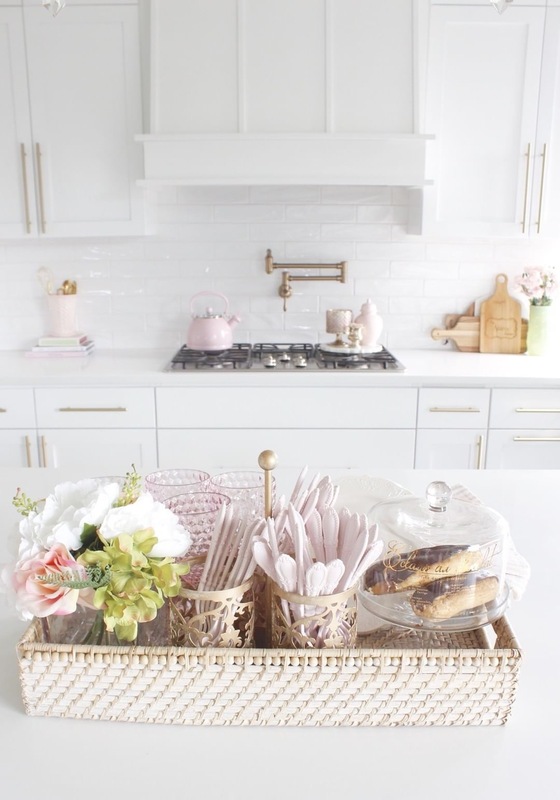 It doesn’t take much to pull together the essentials for the perfect retreat for mom with this Mother’s Day gift basket idea. A spa day at home is a great way to treat mom to a day of pampering and quiet luxury! Let’s check out these 3 other unique Mother’s Day gift basket ideas! All these baskets were created by shopping at HomeGoods! 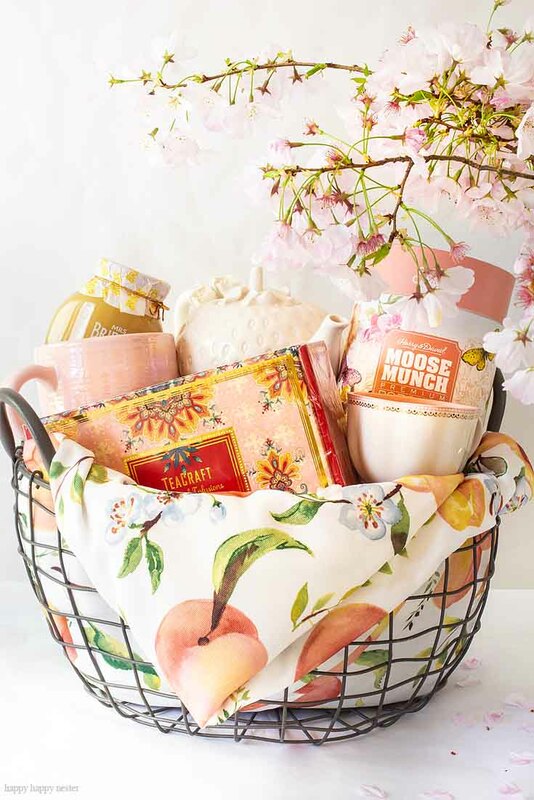 Janine, Happy Happy Nester created this beautiful Mother’s Day gift basket idea filled with all the goodies perfect for the tea lover in your life. And this Garden Gift Basket from Joan, 2 Ladies and A Chair is filled with goodies for mom to enjoy a cup of coffee out on the patio. I love how Joan even used the cute pot as her “basket”! So clever. This unique idea Summer Adams for a Patisserie Gift Basket for Mom will cure any sweet tooth! I’m just loving all these clever ideas for how to treat mom for Mother’s Day. 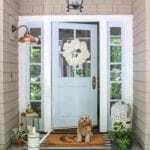 And thank you to HomeGoods for sponsoring this fun Mother’s Day gift basket blog hop! 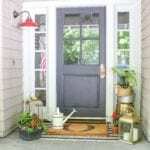 What a welcome gift idea for a busy Mom! I love what is included in this beautiful basket. 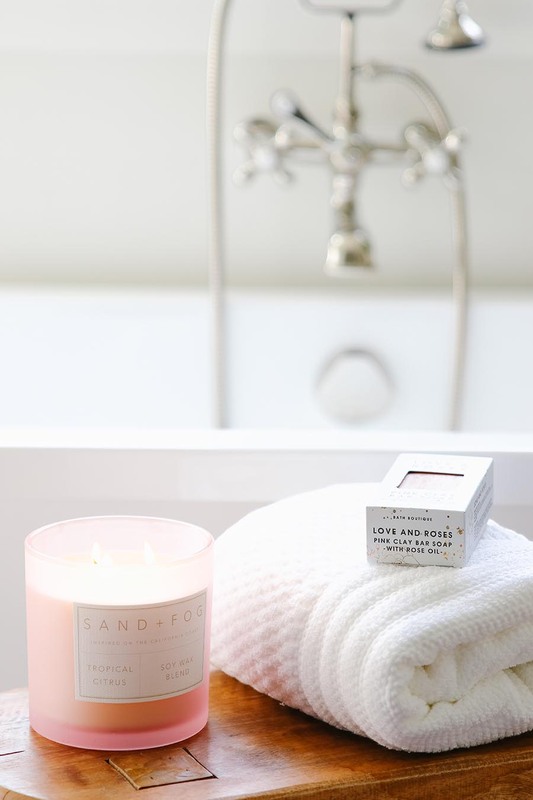 I bet the sand & fog candle smells heavenly!